Whatever your needs, Seagate have built a drive for you. Seagate work hard to create industry-leading data storage solutions for all applications. Whether you are looking for a drive to upgrade your Gaming PC, a storage drive for your Business NAS or something to store your surveillance footage, Seagate have a solution for you. The model of Seagate drive you choose can make all the difference. A drive’s performance and reliability is found in the right match between the device and what you need it to do. So pick the right drive for the task at hand and it will thank you with extended reliability. 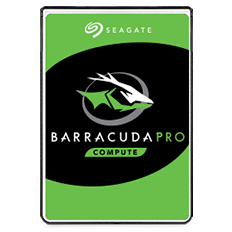 BarraCuda drives are ideal for Laptops and desktop PCs. Industry leading capacity and speed means your games load quickly and space will never run low. 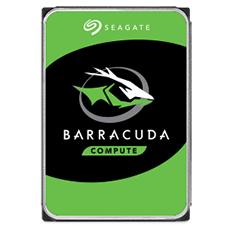 FireCuda drives combine a traditional hard drive with ultra fast NAND flash resulting in a fusion of speed and capacity. 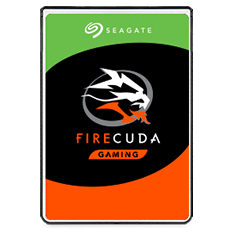 Offering the best of both worlds FireCuda provides up to 2TB of storage with speeds up to 5X faster than your typical hard drive all backed up with a 5 year warranty for peace of mind. 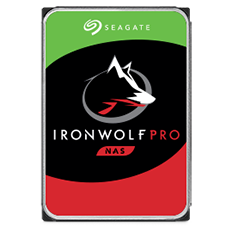 IronWolf and IronWolf Pro are designed to work best for the always on world of NAS. Created to last - IronWolf feature AgileArray technology for superb reliability and scalability. IronWolf Health Management ensure that reliability is optimal when installed with compatible NAS systems. Constant monitoring and user alerts offer great peace of mind. IronWolf Pro is backed up further with 2 uears of Rescue Receovery Data plan included as standard. 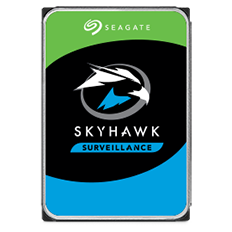 Designed for NVR and DVR systems Seagate SkyHawk surveillance drives are built to reduce dropped frames, support large numbers of cameras and reduce the chance of any down time. SkyHawk drives feature ImagePerfect and SkyHawk Health Management technology. 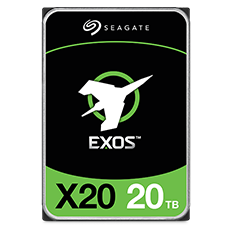 Seagate Exos enterprise hard drives are designed to offer trusted performance and reliability to data centres and IT professionals. IT Pros have rated Seagate as the 2018 market leader for enterprise hard disk drives making them the best in class for 6 consecutive years. Lightspeed. Solid. Impressive. 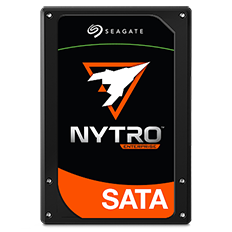 Seagate Nytro Enterprise SSDs support the datasphere with blazing speed that enables real-time business responsiveness, instantaneous data availability and meaningful insights. Tap into the ever-growing potential of your data with the broadest portfolio of ultra-high-performance SSD and flash solutions on the market. With maximum performance, low latency and reduced power consumption, Nytro makes the datasphere dynamic. Charting the future of the Datasphere: are you ready?